Most gardeners love being out in the garden, but few want to see it as a chore. Even though the temperatures are getting cooler in most of the country, there are still lots of opportunities to make gardening easier. 1. It starts with the soil. Any gardening magazine or online source will tell you this. If you have great soil, you will get great plants. 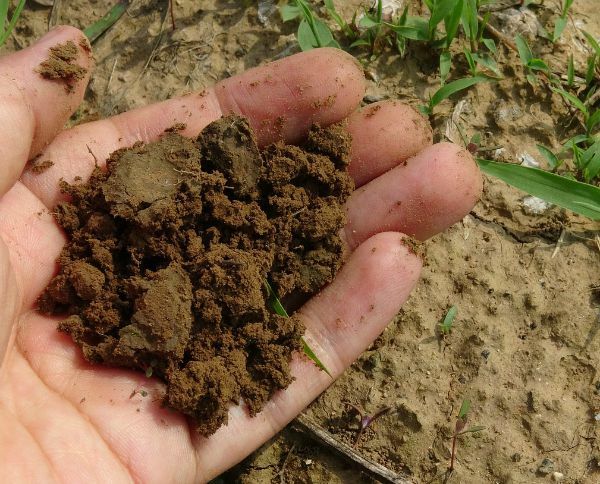 If your soil is less than optimal there are so many things you can do to improve it. Start a compost pile and add a handful of compost with each plant. It will mean less time fertilizing and tending to soil related problems later and more time enjoying the flowers and veggies. If you need to, get your soil tested. Many local governments will do this for free, so take advantage of it. They will tell you exactly what your soil needs and this will make gardening easier for you, right from the start. 2. Group plants by their needs. You will make a mountain of work for yourself if you have plants of different needs scattered here and there around your yard. I have all of my plants in containers on either my patio or a near by garden bed. 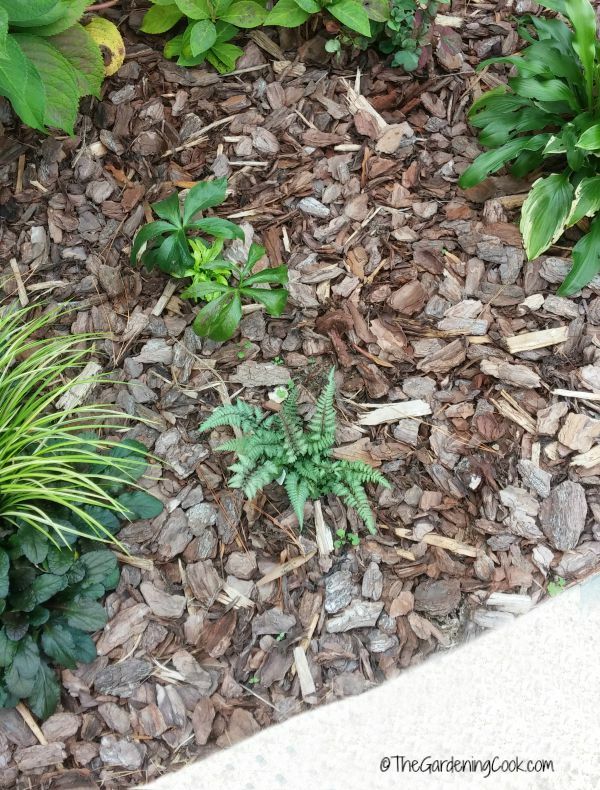 Shade perennials that don’t need much water are all in one spot. 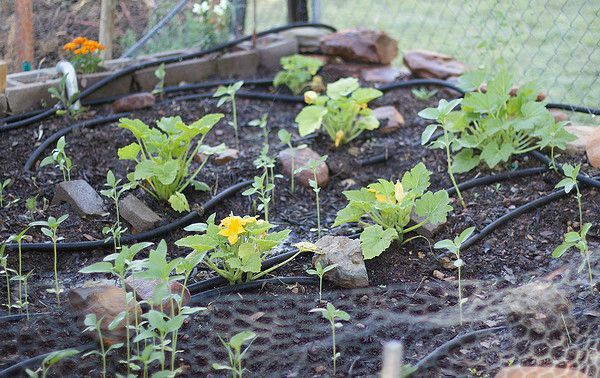 Vegetables that need daily watering are grouped together. This makes it so much easier to tend to the watering. I have one whole section just devoted to cacti and succulents. I know that this section of the garden only needs the occasional watering, so they are in an area all on their own. Adding a hose connector to your water source will help in watering the different groups as well. I use two versions of them. I have a 2 way hose connector at the front of my house. it attaches to two gorilla hoses. One goes to my shade garden on the side of the house and the other takes care of the perennials in my front beds. The easy to use splitters on the connector allow me to select which outlet to use, and they are easy to manage, with big comfort grip levers! In the back yard, I have more beds and a patio area, so I use a four way hose connector. Each area has its own hose. The four way connector makes it easy to water just the spot that I want. I love the quality of this product and it’s backed by a 100% worry free guarantee. Do yourself a favor and try these connectors. I had others that leaked all the time. These do not and I just love them! One thing that is great about the 4 way adapter is that each connector has a shut off. Have only three hoses? No problem. Just turn one connector off and the others still work. The connector also fits all types of hoses. 3. Think ahead about what to buy. 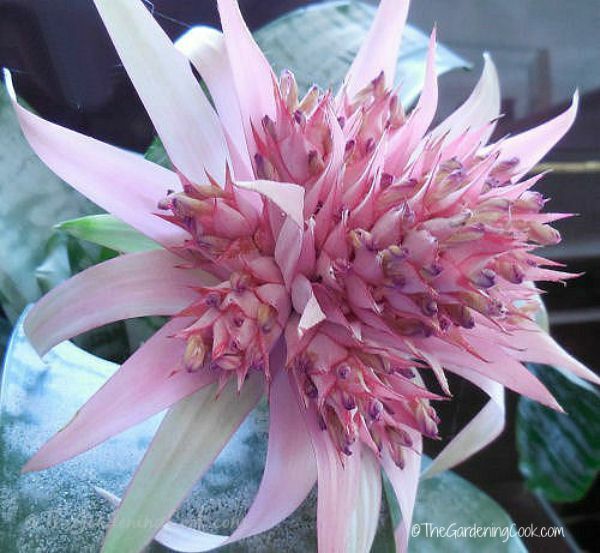 I love bromeliads and other tropical plants. I’ve put them in my garden from time to time for this reason and always regretted it later. Why? It’s hot here in NC in the summer time, but can get quite cold in the winter. Tropical plants just don’t grow in my zones. I end up having to dig them up and bring them indoors. Better to just have a few as houseplants and plant native perennials and easy to grow annuals that are suited to my zone. 4. Add a layer of mulch. Do you like to spend all your time watering and weeding? If the answer is no (and it’s a resounding no from me) then do yourself a favor and add mulch. It protects the plants, keeps weeds to a minimum and helps to preserve moisture so less watering is needed. This garden bed was made during the summer and I have hardly had to pull out much more than just a few small weeds. I added the mulch early and it really helped with weed control and helps to make gardening easier for the whole summer. 5. Think about using a soaker hose. 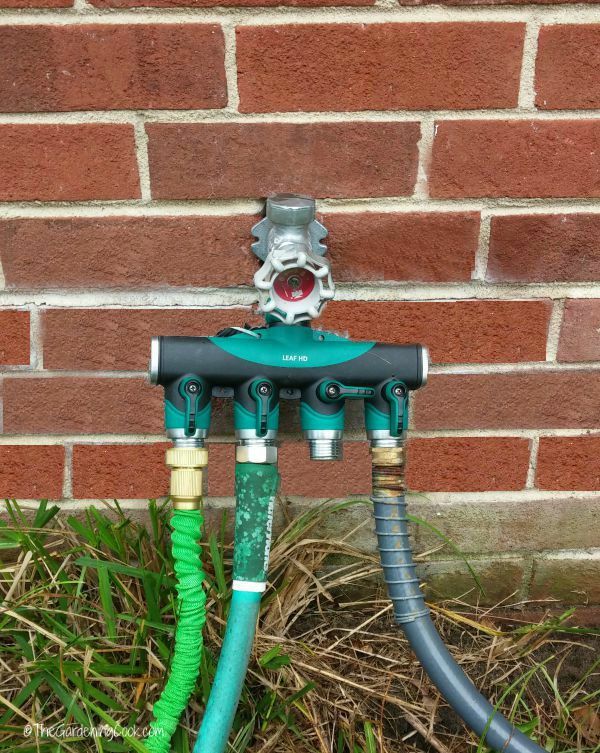 These hoses let water seep out gently into your soil. Vegetables really love soaker hoses. Water the easy way! For the planters, drip irrigation heads on hoses also work well. Both of these can be attached to the connectors show above and you won’t even have to remember to turn them on! 6. Don’t let weeds get out of control. 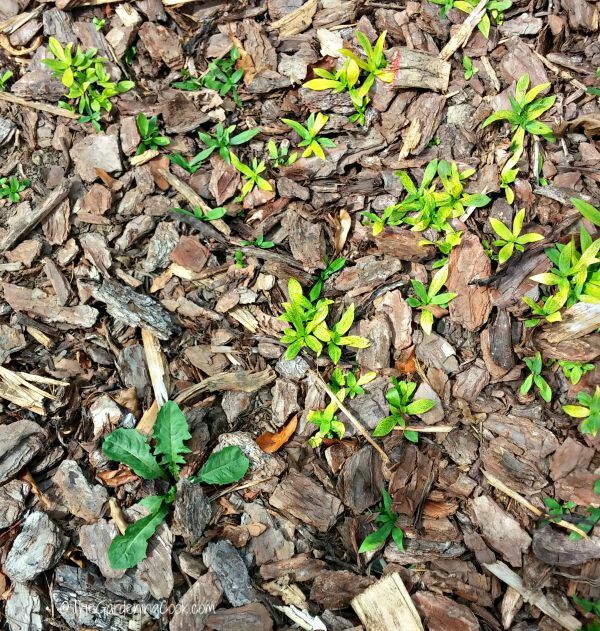 Even with mulch, some weeds will grown. Attack them when they are young and small and they will usually come out with very little effort. I once had a crab grass weed that I ignored, thinking it was a day lily, if you can believe it. I kept watching it from the deck thinking “that thing is a monster, but I don’t remember planting it.” It was a monster all right. By the time I got to it, my husband and I needed two shovels and lots of grunt. DON’T EVEN ASK!….I was lazy that summer. 8. Use a wagon. I can’t tell you the trips I have made from one end of the garden to the other and back again moving plants and supplies. 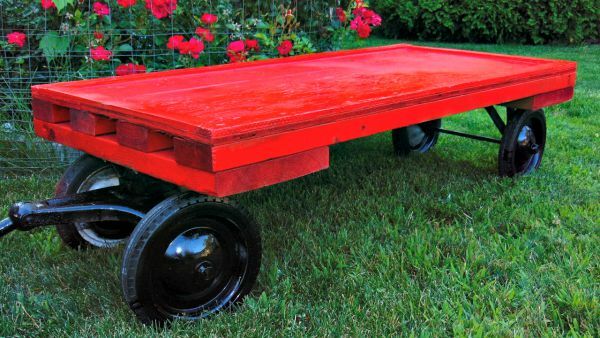 Make this task easier with a child’s wagon or even a wooden flat bed wagon like this one. Add your pots or supplies into it and move it all in one trip. Problem solved! 9. Get the kids involved. If you teach your child to garden when they are young and make it a game for them. (Let’s find the squash bugs and give them a bath comes to mind!) You’ll have a willing helper and will be encouraging a future gardener. 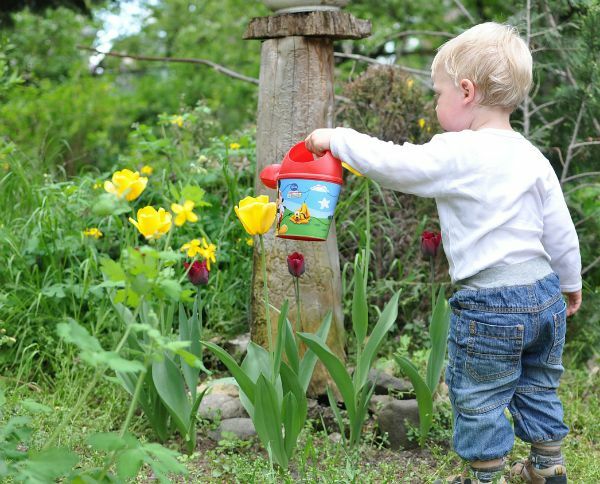 What child doesn’t like to use a watering can? 10. Winterize your tools. This is the time of the year to think about this. Don’t just put all those tools away, caked with mud and dirt. If you do, you’ll pay for it in the spring. See my article on winterizing your tools. They will last longer, so you will save money, and it will make your gardening easier next year, for sure. 11. Garden Sheds. It doesn’t do any good to take care of your tools if you leave them out in the elements. All gardeners need a garden shed to store their tools. But garden sheds don’t have to be boring, plain buildings. 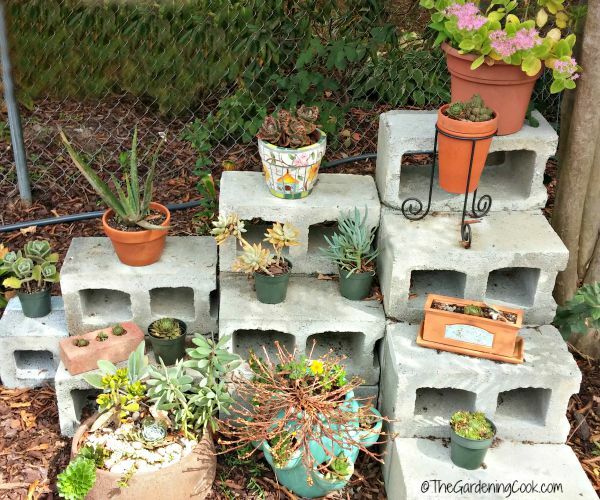 Dress them up, landscape around them and make them a part of the back yard. 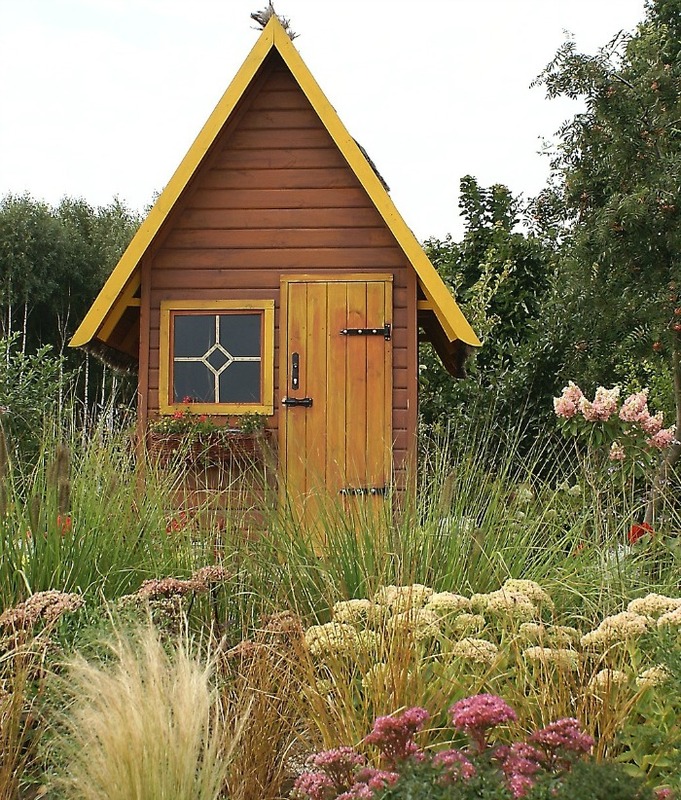 See some inspirational garden sheds here. 12. Garden on a Deck If you don’t have room for a large vegetable garden, you can still get a good harvest in your yard. 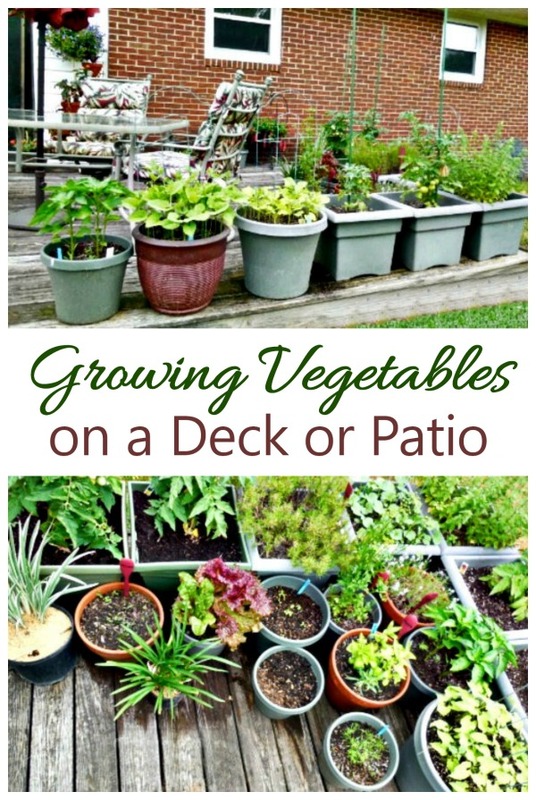 Grow vegetables in containers on a deck garden. I did this last year with great success and had lots of good veggies to use all summer long. I was given the hose adapters for a mention of them in this article but all opinions are mine. This post is brought to you by LeafHD. 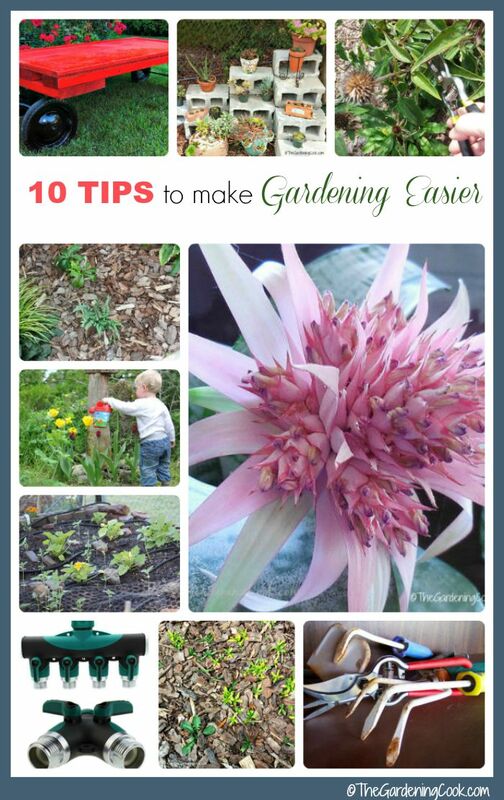 #splitter How to make Gardening Easier! Great article Carol! 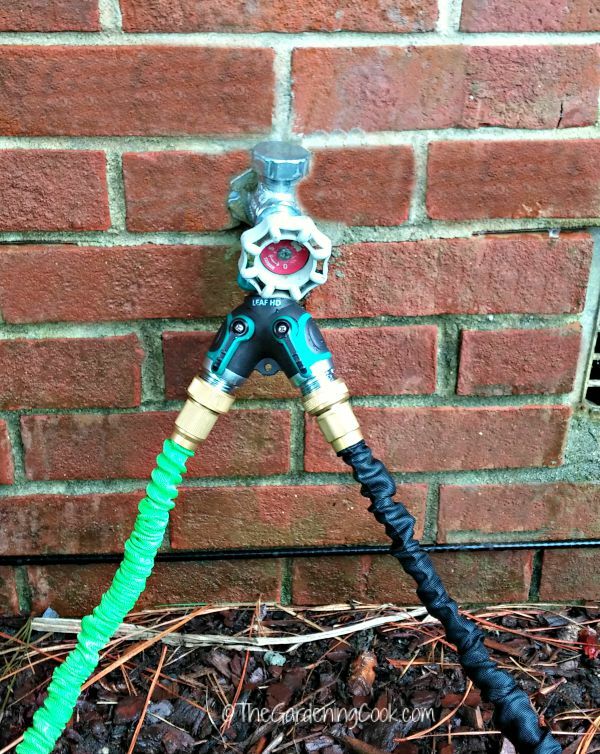 funny coincidence: I actually have that exact hose splitter from that company and love it! Also, I really liked your tips, especially getting the kids involved. I use that tactic all the time and try to make chores into a game! It works for a while, but they eventualy catch on. But I bet making gardening a fun game will actually BE fun for them. As usual, great info! Have a great week! 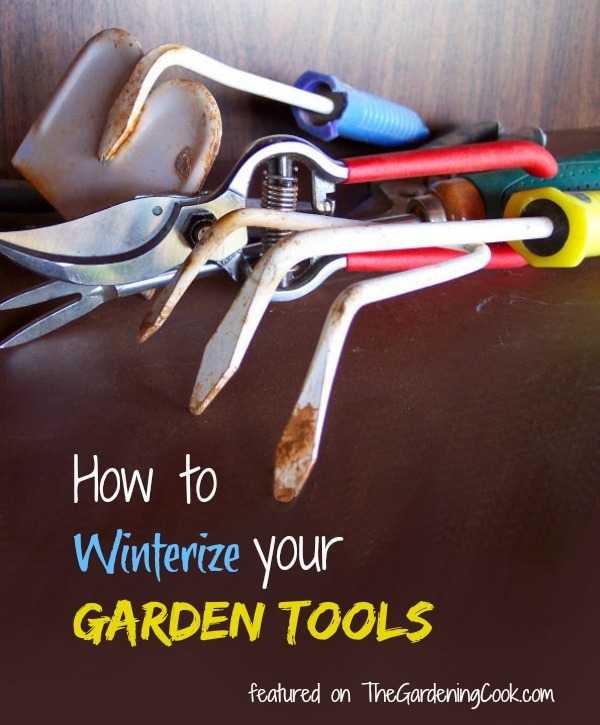 Great tips to winterize the garden. This summer, we decided to clear the weeds on a weekly basis and that seemed to help control the weeds. Is there anything special you need to do when there is a raised garden bed? Thanks for sharing. My greatest tip is to get a Fiskars Uproot Weeder. Best investment of my gardening life! It’s a weed killing, back saving, ninja! I only plant perennials, that way I don’t have to re-plant as much each year! These are some great tips! I had a good compost started at our other house, but here at our new house I am starting from scratch so it’s going to take me awhile to get everything mulched with compost. I do have a few pepper plants and a tomatoes plant growing in pots with what little compost I had. The home owner before had mostly irises and lilies so I’m working on adding more perennials. I will have to remember to group plants with the same likes. I haven’t seen a four connector before but at this house we have water facets everywhere. I have never seen so many at one house. We have 11 total I believe. So I have water near, I just need more hoses. Thanks for sharing the great tips! And thanks for you tips Linda. Wow…all that nearby water. So lucky! Have a wheel barrow with everything in it and keep it handy! Gardening is one of my favourite things to do. That is one of my favorite tips too. Glad Canadians can enter! To winterize your tools, we just did that this weekend. Great tip and one that so many people overlook! These are all excellent tips! Thanks for putting them together! My pleasure Evelyne. Glad you found them useful! Use a cushioned mat to kneel down on to keep your knees from getting dirty/sore! I’ve got one of those and love it! What makes gardening easier for me is container gardening and raised garden beds. Hi Wanda. I love containers but so far have not used raised beds. I would love to though. I think they would be easy on the back. Thank you for the opportunity to win. We just bought our first house this summer and we have a really long big back yard. this would make my gardening and yard work so much easier. I think my favorite tip is to turn on a good music station and crank it up. I think all gardening becomes easier, and much more fun when good tunes are on the radio! I think the plants are much happier as well. You know, I walk to music but have never gardened to it. Might try it! To make it easier have someone to help you! 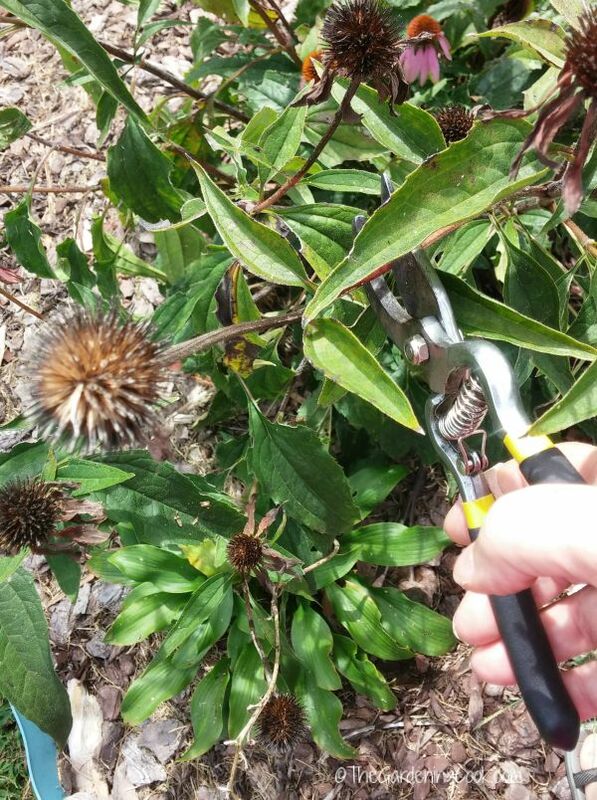 Using a ratchet pruner really helps my old hands so I have more time and energy to spend sharing my garden and plants with friends and neighbors. I love my ratchet pruners too. Great tool! I always water early in the morning so the soil can absorb the water before the sun can evaporate it. Great tip David. I try to do this too. My favorite tip is choose lower maintenance plants like Astilbes and Sedums, that look good all season. It does make a lot of sense not to plant things that need a ton of care. Great tips most of which I use. I think mulching is my favorite although it’s not my favorite gardening chore. It’s like the icing on the cake.